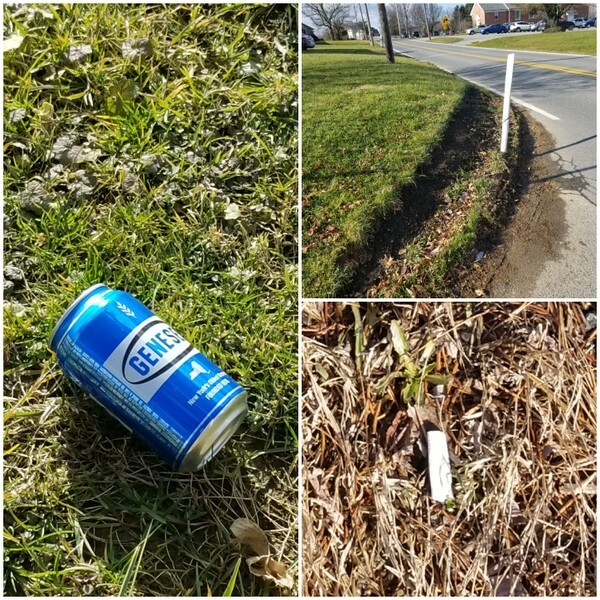 OPINION: Minority / minority | Observations on a walk along country roads. Ever notice that, seemingly, the minority seems to get more credence — and gets more notice — than the majority. For instance, just over 40% of Americans cite beer as their adult beverage of choice, yet the majority of people do not throw beer cans from car windows onto someone else’s property. Only 15.5 percent of American adults smoke, yet the majority of that majority of those people do not throw cigarettes silly-nilly from their cars. Most vehicle drivers, we hope, do not take short-cuts at turns in the roadways to drive across private property. Yet, we saw all of the above yesterday. It reminds us of what we see in local political issues. In the representative democratic form of governance, the minority has the decision making capability to impact the majority. Supposedly, a majority of voters elects people to represent them at all levels of government. Those elected, the minority, represent the interests and wishes of the majority they were elected to represent. For instance, a minority of “over 600 survey responses” was used as an input for consultants in the Columbia River Park expansion plan. Surveys, or opinion snapshots of the moment, may or may not be the expressions of the majority citizens only. A greater number of Columbia citizens, property owners and taxpayers, rounded up over 1,100 signatures on petitions. While a minority of all potential Columbia voters, that number represents a significant majority over votes cast in recent elections in Columbia.